If you’ve done any investigation at all into the toilet model you want you’ve probably come across the term “WaterSense”. In one way, the concept WaterSense is uber-easy to understand. 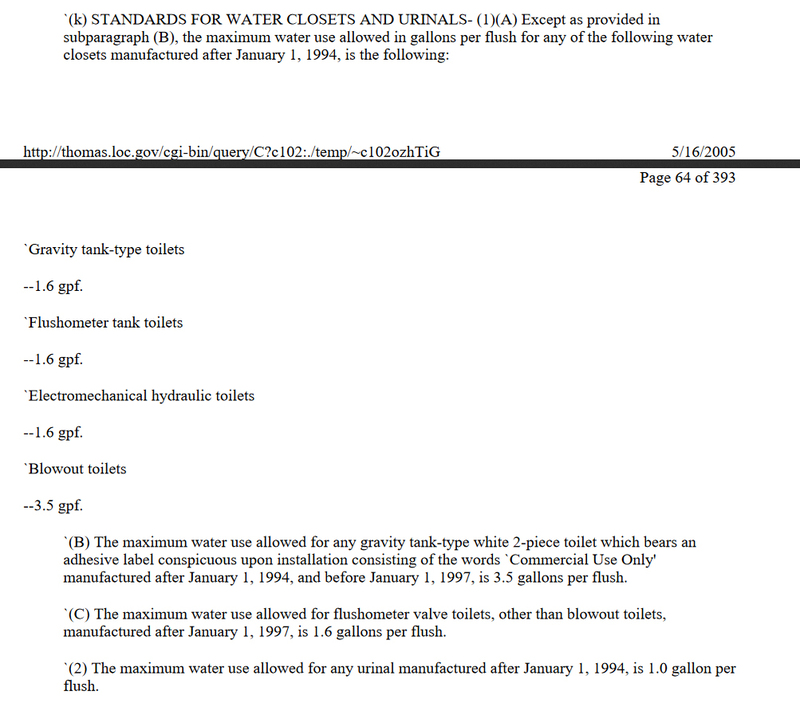 It's a legal designation from the EPA for any toilet that uses 1.28 GPF or less. What is a WaterSense Toilet? 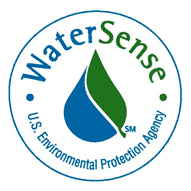 In one way, the concept “WaterSense” is uber-easy to understand. It’s a legal designation from the EPA (US Environmental Protection Agency) for any toilet that uses 1.28 GPF (gallons per flush) or less. Actually, the Watersense program has also developed specifications for showers, faucets, irrigation controllers, and much more – in fact, anything that uses or controls water. Here, we’re using only that part of the Federal specification that applies to toilets. So, are we done here? Hardly. Read on. 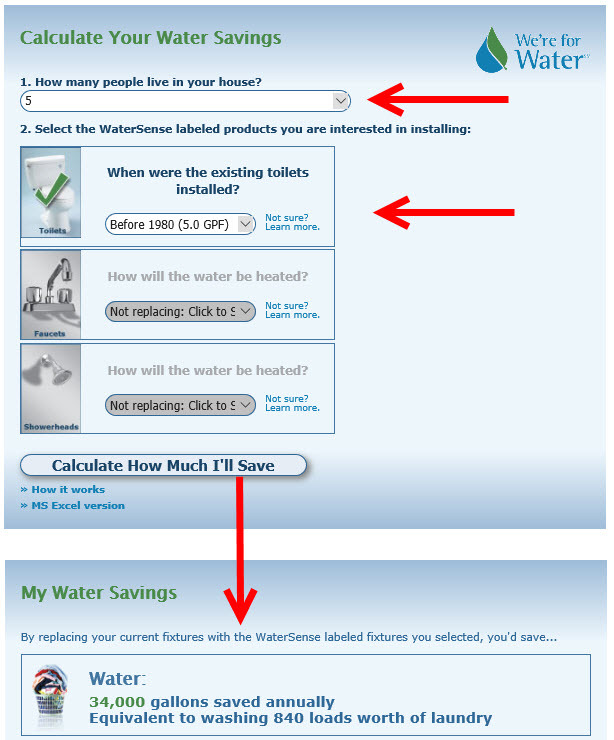 Why Choosing a WaterSense Toilet? So long as your toilet does the job, why care about technicalities, right? Well, not exactly. Efficiency is valuable, but it’s not everything. Cost, reliability, ease of use – all are important. And those don’t exhaust the list of features you want if you’re remodeling. You want to consider all attributes, and saving water is near the top of the list. Saving water is a cost issue, but it’s also an environmental issue, and one that’s becoming increasingly important around the country. In some cities water is scarce, sometimes so much so that it’s legally restricted by the local or state government. A low-flow toilet becomes a necessity. New toilets sold within California for example will not be permitted to use more than 1.28 gallons per flush. Even when water is plentiful your utility bill is often high. Costs on everything are rising and an appliance that can save you 10, 20, or even 30% of your total water bill can quickly justify the price of a new unit. How Much Does WaterSense Actually Save? A family of five with a traditional pair or trio of toilets in the house can consume thousands of gallons of water per year. Traditionally, a toilet used around 5 GPF, that adds up over the period of a year to a substantial total. According to EPA’s water savings calculator, a family of five replacing an old and inefficient 5 GPF toilet with a Watersense labeled toilet can save around 34,000 gallons per year that way. The figures are very approximate, of course. The calculator assumes an average of 5.05 flushes per person per day. Even at the relatively low average price in the U.S. ($1.50 per 1000 gallons according to Fairfax Water), that’s a savings of about $50 per year (34 x $1.50) in this particular case. And keep in mind that average price is brought down by thousands of small communities where the price of water is much lower. In the big cities, you’ll save double that easily. Over 2 years at most (in this case), that family has paid for a WaterSense toilet that costs $100 more, and toilets last 20, 30, 50 years or more with proper maintenance. Again, it can come down to more than dollars, though. In a city or state where water use is restricted, it’s much easier to meet the cap when your toilet is working at peak efficiency. If you can, check out the option of a dual-flush toilet, which can operate at as low as 0.8 GPF. You won’t be interested if the toilet has to be flushed multiple times to do the job. Is that still a concern? Many potential buyers still have the idea that low-flow or HET (high-efficiency toilets) don’t get the job done. That reputation was deserved when they first came on the market more than 20 years ago. A toilet that used half or one-third the standard amount of water simply didn’t flush waste on the first try. You had to flush multiple times, eliminating any benefit (and adding a lot of frustration). No longer true. Contemporary low-flow toilets are tremendously powerful. New materials, bowl geometry, hole design, and other factors have amply upped the ability to flush large amounts in one go. That’s true even in areas where the water pressure hasn’t changed over that time. Dual-flush toilets let you choose how to save water. The “low water volume” button (or handle direction) is used for liquid removal, the other for solid waste elimination. WaterSense toilets can handle the more demanding application just fine, and the label can apply to either a single-flush or a dual-flush model. WaterSense isn’t universal. Not all toilet models satisfy the legal and technical criteria. Nor is it the only important attribute to look for when choosing a new unit. 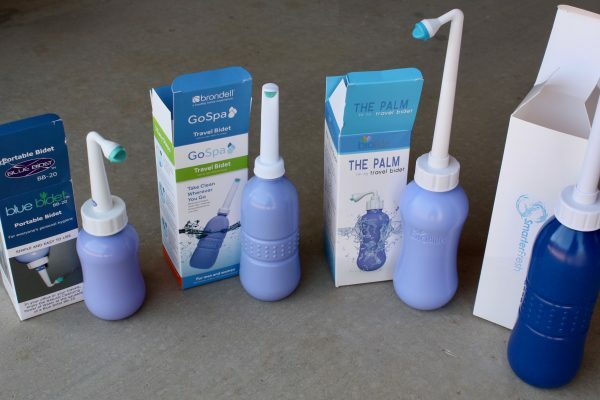 But it can satisfy water restrictions, help the environment, and even save you money over the long run. So look for the label when you shop.